My husband loves to fish. In April when trout season opens that is the talk of the house. My youngest son talks of when his son (my grandson age 2) will go fishing with them. I have read many books while sitting along the banks of lakes throughout our country while my husband fishes. The challenge over at Cardz 4 Guys is “relax”. I can’t think of anything better about relaxing for my husband but fishing. Over at The Male Room the challenge is birthday (to celebrate their 5th Birthday). The trout image is part of a digital stamp set from Power Poppy. I colored the fish with Copics and the papers are from my stash. I created the sentiment from Holiday Frame Fillers (GinaK). In addition to these two challenges I would like to participate in Tuesday Throwdown which is anything goes. Do you have a favorite stamp set that you are always drawn to? Today’s card features a stamp set from Power Poppy. I have quite a few of their digital stamps but this is the only clear stamp I own. It is my go to for female birthday cards because it features three lovely stamps (plus sentiments) to color. When I saw the current challenge over at Seize the Birthday, I knew I had to use this stamp. Here is the card that I will be using to participate in the challenge. The image was colored with copics. I used a scallop border die from Our Daily Bread, sequins, paper and sequins are from my stash. All the items I used in my card were from my stash. The greeting is from Power Poppy and the stamps are from MFT. I stamped directly on the background paper to give a silhouette effect on the card. The white top layer I scored lines to create a board effect. Hello my friends, today’s card was inspired by this week’s challenge over at Seize the Birthday to use KRAFT. I used one of my favorite stamps from Power Poppy for this one. I stamped the image with Versa Mark, embossed with white fine detail embossing powder, and colored it using Prisma Color Pencils (I have the 24 set and that is sufficient for me). I would like to also like to participate in the challenge over at Dream Valley Challenges (birthday). On the side bar I list that I am a member of Live Love Cards. I have been a member for about 2 years. I learn so much from everyone in this card community. I signed up to share in the birthday club. When you sign up you are sent a list of everyone that has a birthday in the same month as yours. This second card I made for Gail. I am so encouraged to make new friends through our (all) card making community (communities). This set is by far the most I use for feminine birthday cards. It is from Poppy Power. I think I purchased the background paper from Michael’s. The background paper seemed to overwhelm the card so I added a velum layer over top to soften it a bit. It was easy to adhere the vellum with the ribbon accent through the middle. I used Copics to color the image. 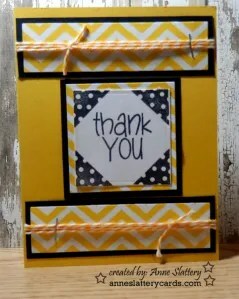 I created the tag using a Tonic corner rounder. Ribbon is from Stamps of Life. Happy Birthday Gail my new friend from Live Love Cards! Today I created a birthday card to add to my package going to Send A Smile 4 Kids. I used the Signature Antique die cut from Top Dog Dies along with the Antique Die Mat Set to create the base of the card. The geranium is a digital image from Power Poppy and colored with Copics. The sentiment is also from Power Poppy. The paper I used to cover the base has a subtle hint of green in it. I’m not really sure who manufactures the paper. I’ve been practicing my copic skills and have been using many digital images to do so. The markers really blend nicely using the Xpress it blending cardstock. Thanks for stopping by. My cousin Mary and I were very close when we were kids. Her husband Bill is having a 60th Birthday Celebration for her next Saturday so I created this card for her using Sketch #255 over on the OWH blog. My cousin is a wonderful wife and mother and one of the most spiritual people I know. I love her dearly and she has an endless smile that cheers you when you see her. It should be great fun getting together to celebrate this milestone birthday with her and our families. I printed the Dancing with Daffodils digital image (Power Poppy) onto Tim Holtz Distressed Watercolor Cardstock (smooth side). The inks I used on the daffodils were mustard seed, cantaloupe, spiced marmalade. The leaves were colored with peeled paint and MFT gumdrop green. The little flowers were colored with faded jeans and pearls added to the centers. The sentiment is also from Power Poppy (Set is Short Stacks) which I stamped with Versafine Onyx Black and then used Super Fine Detail clear embossing powder (Ranger) on vellum. I popped the last panel up using mounting tape. Side note on my previous post. So I was working to get a card in on time for Words 2 Scrap By. Created the card, posted it to my blog, and woke up at 3 in the morning realizing that I neglected to upload it to Words 2 Scrap By challenge post. 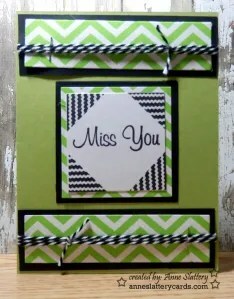 Yes card making is a stress reliever and I am so happy when I have the health and time to make them. I had to laugh at myself when I realized I never uploaded it. Here are a few cards I’ve been working on to fill up the box going to OWH mid August. 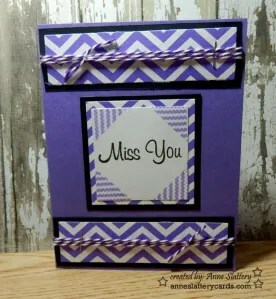 These three cards were made using the sentiment and corner stamp from Kites2stamp by Stamps of Life. The cardstock is from My Favorite Things. 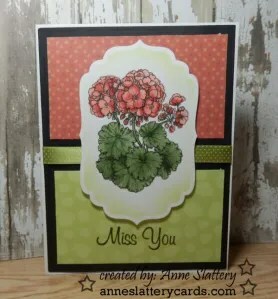 This card was made using a digital image from Poppy Power called Geraniums Digital Stamp Set and colored with Copics. R24, R22, R30 and G94, G24, G21. The papers are from K&Co.